The first part of this article is about love, happiness and basketball. 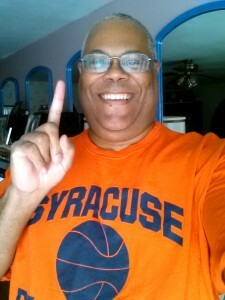 Suffice it to say that the title tells it all; the Syracuse Orange have made the Final Four in the NCAA Championships! The rest of it is that the “Orange” part refers to both the men’s and women’s teams; that’s something special, and I couldn’t be more proud. For the women’s team, there are a lot of firsts. They were the first women’s team to make the final 16, then the final 8 and now the final four. They’re also the first women’s team from the state of New York to ever make the final four; now that’s saying something. Now, that only goes back to 1981-82, but still, this is New York, with lots of universities, and it’s taken 34 years for it to happen; ouch! For the men’s team, the history is a bit different. The team has been in the NCAA championship 38 times, in the final four now six times, in the final game 3 times, won the championship in 2003 (YAY!) and has a 64-37 record. And every time the men’s team has made it into the Final Four the critics have said they didn’t belong. I found that little epiphany interesting. Not that the team has never been favored; the men’s team has had some very good players in history and some major talent. Yet it always seemed that, except the year they won it all, the teams that made the final four weren’t replete with spectacular individuals. Maybe one guy was pretty good, but what made them winners was team play that elevated itself at the right time and other teams who weren’t used to playing against the kind of style that few teams other than Syracuse plays. Everyone thinks it should be easy to beat… but it’s not. Going back to 1975 and this weekend, nothing much has changed… except for the advent of social media. In its own way, it’s both the great equalizer and the great living and growing troll. It’s the one place where a bunch of fans of one team can find each other and glory in the success of the team, while those who hate those teams can also find those fans and troll the heck out of them. And the trolls aren’t relegated to… well, trolls. Critics, aka sports commentators, can hate as well as trolls at this time of year. It’s pretty amazing stuff overall, and I thought I’d share some of the lessons one can learn when things like this, which is garnering a lot of attention at this time of year (which of course also includes politics since it’s a presidential year; sigh…) are dominating social media. 1. It’s nice getting support from people you don’t know. What this tells us is that there are people who are looking to support someone who shares their values. I’ve written in the past how once I started my Twitter marketing campaign how lots of people started adding me to their lists. This is the same kind of thing. Without having to specifically target an audience based on competencies I was able to reach people by using community methods if you will. I had a lot of people add me to lists and some even started following me because of my participating in this event; how neat is that? 2. There’s extraordinary power in being cast as the underdog. The worst part about social media is having to deal with haters. I personally didn’t have to deal with any of that, but the men’s team did. However, one should never underestimate the power of people doubting you or hating on you. Sometimes people will win or beat you “in spite of” their either not being as bad as you perceive them to be or because that chip in their shoulders is something that must be busted up. You wouldn’t believe how many times people shared it. I then posted the same thing on Facebook, but expanded it a lot. It got some pretty good attention there also, and that’s with my posting it after midnight, when most of my local peeps have already gone to bed (the wusses lol). It will be interesting to see how well it spread when I finally check on it late tomorrow morning. 3. The haters hate even more when you make them look bad. I’m not going to say that when I hate a specific team that I don’t go out of my way to hate them. Well, actually I used to do that; these days, I’ll hate them until my teams aren’t a part of it anymore, then I move on. So, hate from people who have a reason to hate (teams one competes against or has a history with) makes sense (I hate Georgetown lol). But hate from those who have no connection to a team? That’s just silly in my opinion. And then, when that teams succeeds, to allow the hate to grow because you were wrong… it just invites more people to come after you, and maybe you feed off that, but it ruins the social media experience for everyone else. There’s a particular commentator who always seems to hate the Orange for some reason. He was the most vociferous voice against the team making it into the tournament, and even after they’ve made the final four he’s still pretty vociferous. Of course the Syracuse fans have gone after him (I mentioned him but didn’t write to his account) and he’s responded… and it’s not pretty. In my opinion he’s feeding off it instead of just going away or applauding the team for its accomplishments and moving on. Still, he’s a sports commentator so maybe he thinks it’ll make his show more popular; guess we’ll have to see. I wrote a post where I said that people are going to hate on you anyway so go ahead and do what you want to do. Sometimes the best stimulus you’re going to get isn’t going to come from your supporters but from your detractors. Righteous rage is a good thing as long as it doesn’t make you stray from your goals. Not that I personally was trending, but for a while on Sunday, #Syracuse was in the top 3 on Twitter for trending. At one point it was at #2… and it wasn’t all good. Still, being recognized for something like this, to the extent that people want to talk about you either positively or negatively, is intriguing. I had my own little bit of impact that was kind of fun. A few times over the weekend I not only tweeted a particular message related to my teams, but I posted the same thing on Facebook; not quite verbatim since I could write something longer on Facebook, but I started with the same premise. I found that those posts generated more likes, shares, retweets and comments than almost anything else I’ve ever posted on either of these two sites. Here’s the fascinating part. Whereas I expected some of the interaction on Twitter because of the hashtags, I hadn’t expected the upsurge on Facebook. What my thought was is that the word Syracuse had to be affecting Facebook’s algorithm, which can’t tell whether it’s a positive mention or not, and for whatever reason it started showing my posts, and those of others, with that word in the streams of others who maybe normally don’t see your posts. I noticed I was seeing posts from people I almost never see posting anything. I also noticed that even with people whom I’ve kind of sculpted out of my stream that suddenly they were able to see the Syracuse posts, and I only knew that because they were liking those posts. Not hiding anything here; I don’t like Donald Trump. I’m not close to being alone; even people in his own party don’t seem to like him. Yet, those people who do support him are rabid fans, and they’ve found their crowd who seems to be pushing him to the nomination for president of the Republican party, stunning all those Republican pundits who back last summer said Trump’s participation was only a sideshow and that when the primaries came he’d be a non-entity. Remember #2 above? Although I don’t like politics generally, the one thing that’s fascinating about it is seeing how people will jump on the bandwagon of the flavor of the moment and be willing to jump back off it and onto the next thing at a moment’s notice because suddenly it’s not “hot” anymore. If you have followed politics even at arm’s length since last July, you’ll realize that at one point or another upwards of 7 different people were considered the front runner for the Republican party. 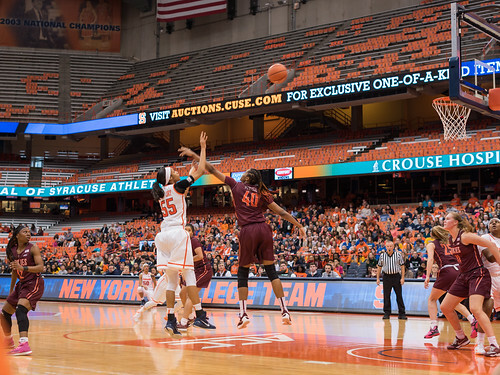 That’s not just a crowded house, that’s a basketball team with two reserves. For the Democratic party, There was one front runner, and she’s still the front runner, but there’s a guy on her coattails that no one outside of his own state even knew about until probably November or December of this year, and he’s making things tougher than expected for her. The other guy has touched some folks positively and a lot of them are jumping onto the bandwagon to support him. Whether it’s ultimately successful or not, it shows the power of a bandwagon. Those of us who are hoping to make a statement of some kind on social media need to do one of two things. We either find a bandwagon to jump on and hope that everything else we put out can enter into the consciousness of those folk who notice you’re on the bandwagon, or we find a way to create our own bandwagon so that people will talk about us, share our stuff, and get others to join in. What I noticed last night after the game was over was that some of the people who were liking my stuff or retweeting either what I was saying or sharing were suddenly sharing or retweeting some of my own stuff, which was queued up to go out at specific times throughout the day and night, a couple of those times during and just after both the men’s and women’s games ended. These weren’t people who were initially connected to me either, and that was not only unexpected but rather enjoyable. All it took was my being a part of the Syracuse sports bandwagon while offering something else that some folks felt they could get behind. This shouldn’t have been totally unexpected. My buddy Joanne Del Balso once talked to a group and told them how she’d gotten 3 clients for her accounting business just by participating in an unofficial Twitter group “chat” of sorts while a TV show was on, and they were all using the hashtag for it. Some folks liked what she was saying, checked out her Twitter profile, then checked out her website, called her and hired her. That fits in well with what I was talking about last week as it pertains to engagement, along with saying that we don’t have to be marketing 24/7 to be effective in attracting people and doing business with them. Syracuse has my admiration, even if they did blast my bracket to bits. Love how you made a teaching moment out it all. You shared some fantastic tips here and I could really relate to some of them. Funny how people do root for the underdog but often when those underdogs shoot past those who are doing the rooting some of them become haters. At least, that has been my experience in some situations. I guess that is the competitive edge in some people. I like to think in the online world that the world is big enough for all of us. : ) Yet, there will always be those competitive ones trying to top others. Thanks for sharing Mitch. It was great content to read. Have a fantastic week. Take care. Thanks for commenting Irish. You’re right, because people always talk about how media will look to pump people up to be big stars, only to find reasons to tear them down. That’s why it’s important for us to work on controlling how we’re perceived by others as much as possible while still finding ways to be “of the people”. Having dual purpose is never a bad thing, right? 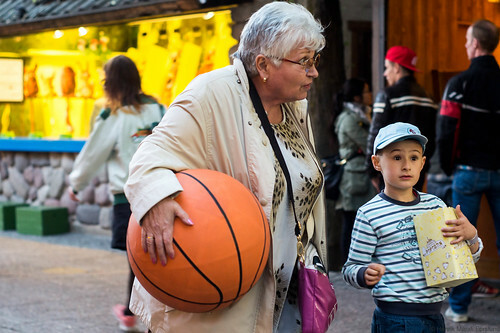 Although I have no understanding of the basketball scene in your country I totally ‘get’ the point you’re making. Building an audience outside of our core business niche seems like a smart idea. I’ve seen others use it (eg John Chow) to good effect. I really liked your point about the bandwagon effect. It happens everywhere, even with business opportunities. People pile onto the new hot deal like flies on a piece of meat. The downside is they jump off just as quick. Kim, they don’t play college basketball in Australia? That’s interesting, but it might explain why we sometimes see Australian teens playing at colleges here. Glad you saw the points I was trying to make. You’re right, people are ready to jump off bandwagons as fast as they’re ready to jump on them, negatively or positively. I think that’s the beauty of sports though, especially in a tournament like this one because it’s hard for college teams to win everything all the time… and this year proves it. @Mitch Mitchell, It’s a very different scene in Australia, Mitch. So there’s not a well-organised college sports scene. Besides, basketball is not a big sport there – football and cricket get most of the attention. I really loved your post. In recent times, Social media have grown from strength to strength and It has became one of the most influential medium for Politics and Sports. And I see you have explained how well we can reach to people using Social Media. Thanks Noor. I hope something works for you based on this. Well you got me a little homesick here because I lived in Ithaca for about 12 years before I moved. I am familiar with “the orange” lol. Although I’m not much of a sports fan, I do see your point. See…I have always liked the Mets because I grew up a Met fan in baseball. When and IF I watch a game, the excitement swells and once I got on Twitter about it. Because everyone I know is a Yankee Fan, I got loads of haters. But…It brings me back to the old days in the stadium where people routed for their team, and still got along. I did however meet fellow Met fans. The same thing happened to me. I still have some friends that I met through that time. But…I digress…. The point here is, whenever you are passionate, like you are with “The Orange” Team, you can then share it on social sites. Real time Twitter is the best way because it feels like you are right there in a person’s living room watching that game weather they like it or not. It’s just all in fun. We can also do this business wise with “Trends” I do that from time to time and do meet some great people. It can turn out to be friendly or a new business deal. Whatever it is…be true, honest and passionate and just have fun out there! The scenario is completely different here in India. but you can say it is kind of religion for everyone. Social media has deepen its roots in the field of sports and politics. Thanks for your comment Shantanu. Social media has a way of equalizing things while also being over the top, depending on who’s watching and who’s saying what those people want to hear… or not hear. lol It teaches all of us lessons that we need to learn to become more successful. Apart from the literal meaning of a wagon that carries the band in a procession or parade, according to my dictionary it also means something that’s suddnely become fashionable or popular. Now its hard to think of Donald Trump as being anything like fashionable but he sure is popular amongst some sections of your country. Why? Now that’s another interestring question but for now the answer escapes me! But politics aside, one of your key messages was “trending” and this has implications for all of us. What bandwagon are we really on? Is our message clear about that or do we seem like a mystery to anyone visiting our site? To have thecourage to say what you really think (as you so often do Mitch) clearly shows everyone whose wagon or bandwagon you’re on. Clarity like this is an awesome and very powerful thing to have and it will most definitely be a huge force of attraction as wll as a source of extremely targeted traffic to your site. As far as the underdog concept goes – yes we all love to support them. Its just a natural reaction that appeals to everyone and thats why as you so correctly indicated, being able to position yourself as the underdog can also be such an incredibly powerful perception factor in our business dealings and in our marketing. I like to think that if we can get people on our side via social media that they end up becoming our brand ambassadors in some way. All of us are truly underdogs when compared to the super rich people, which means all of us have the same opportunity to get others to consume our content and buy from us if we can show authenticity and share theirs as well. However, when someone has actually bee tabbed as the underdog by the masses it explodes even more. Love how you intertwined your love for Syracuse with teaching us a bunch of stuff at the same time. Especially thanks for the reminder that ‘hashtags do matter’ and also that people will support you if you share their same values… Good points, Mitch!!! Thanks Yasmin. I had to learn the hashtag thing in 2015 and I’ve been amazed at how well it works. Good stuff Holly. I hadn’t thought of it from the gambling aspect but it’s an intriguing premise. I like the term “herd” way better than “tribe” because it sounds way more communal, and I like the overall idea of community; yup, I like that a lot. I m impressed with the point of “presenting as underdog” because now-a-days people try to pretend they are the one who know all things in order to market anything. I like the way you told the fact! Thanks. I would expect most people to make sure they look good when marketing something, even if they use humor as the vehicle. The funny thing about underdogs is that they get to be so because they’re actually winners that no one expected to be. I can live with that. Hey Mitch! Lovely article dude. You have just written what social media power actually is. You need justice in India. Then only social media can do it for you. And mainly used for marketing. You can reach out to hundreds of people within seconds. You gave two different messages Shreyas, but I believe both are possibly true. Social media is powerful, and can be used in great ways for marketing. It can also be used for social justice, which I believe you’re alluding to, though I’m not sure which type of justice you’re talking about in India right now.